WELCOME TO THIS BEAUTIFUL 2 BEDROOM, 3 BATH MESA VISTA NORTH TOWNHOUSE. A WONDERFUL HOME AREA WITH HILLS, MOUNTAINS, AND PANORAMIC VIEWS, LOCATED ON A QUIET CUL-DE-SAC STREET. THE KITCHEN HAS BEEN UPDATED WITH CUSTOM CABINETS, BEAUTIFUL GRANITE COUNTER TOPS, STAINLESS STEEL OVEN, REFRIGERATOR, MICROWAVE, WINE COOLER, DISHWASHER, TILE FLOOR, AND CANNED LIGHTING. DINING ROOM OVERLOOKING REAR PATIO, CENTRAL AIR AND HEAT, CUSTOM PAINT AND CROWN MOLDING THROUGHOUT. FIREPLACE WITH CUSTOM MANTLE, WOOD FLOOR, AND VAULTED CEILING IN THE LIVING ROOM, INSIDE LAUNDRY ROOM. WASHER AND DRYER INCLUDED. TWO PATIOS: ONE INSIDE THE GATED FRONT ENTRY, AND ONE IN THE FENCED, LANDSCAPED BACKYARD.. ATTACHED 2 CAR GARAGE WITH AUTO OPENER, AND DIRECT HOME ACCESS. 3 GUEST PARKING SPACES ACROSS THE STREET. 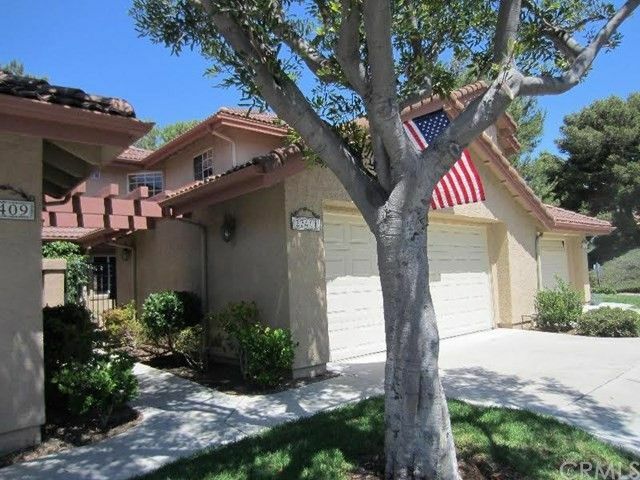 NEAR THE SAN JUAN HILLS GOLF COURSE, MINUTES TO DOWNTOWN SAN JUAN CAPISTRANO SHOPPING, BEACHES, AND DANA POINT HARBOR. E-Z FREEWAY ACCESS. TWO COMMUNITY POOLS/SPA. SELLER WILL CONSIDER ALL OFFERS.